Offered with a SHARE OF FREEHOLD and NO UPPER CHAIN. This ground floor flat boasts a REFITTED KITCHEN and BATHROOM. Lounge TWO BEDROOMS. Replacement double glazing. Situated in a popular road within this sought after development, close to shops and within an easy drive of the M1 motorway. WE HOLD THE KEYS. Glazed door to communal entrance hall. Hardwood front door to entrance hall, storage cupboard, door to airing cupboard housing hot water tank. 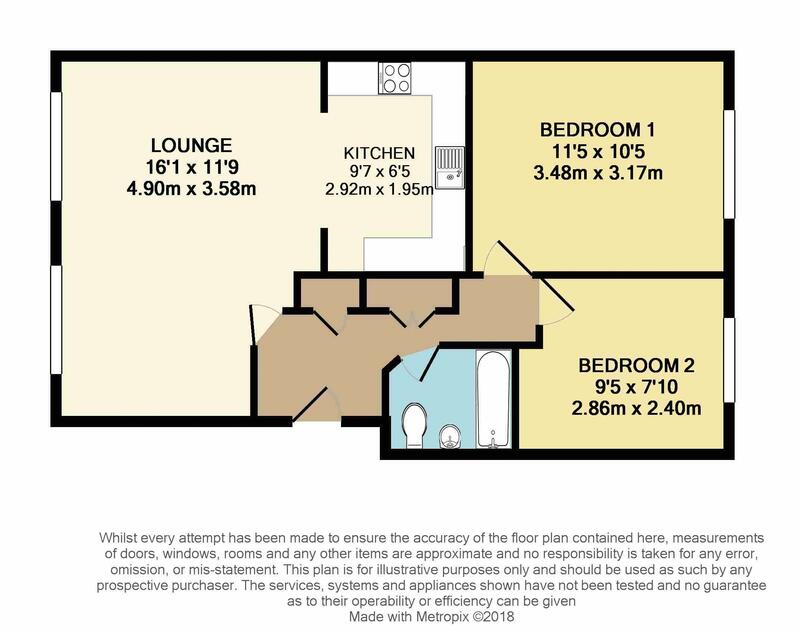 Two double glazed windows to the front, electric storage heater, TV point, laminate flooring. A refitted kitchen with a range of base and eye level storage units, display cabinets, work surface areas, single drainer stainless steel sink unit with mixer tap, four ring electric hob with canopy extractor hood over and electric oven below, plumbing for washing machine, space for fridge freezer, tiled surrounds and flooring. Double glazed window to the rear, electric storage heater. A white refitted suite comprising low level WC, wash hand basin with mixer tap, panel bath with mixer tap and separate electric shower over, tiled surrounds, extractor fan.